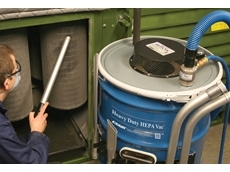 EXAIR introduces a new heavy duty range of HEPA vacuums designed for use in diverse industrial environments. EXAIR’s Chip Vac systems are now certified to meet the rigorous safety, health, and environmental standards of the European Union that are required to attain the CE mark. 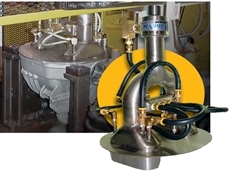 EXAIR’s Chip Vac vacuum systems are employed to clean chips from fixtures, floors and work surfaces of machining centres, lathes, saws, mills and other industrial equipment. Offering a fast and effective way to pick up chips and other debris, the Chip Vac system delivers them to a 5-gallon or 44-gallon drum. The Chip Vac can be easily moved from drum to drum to keep different materials separate for recycling. Conventional electrically operated ‘all purpose’ vacuums on the market aren’t designed for industrial use and often break down, wear out or clog. 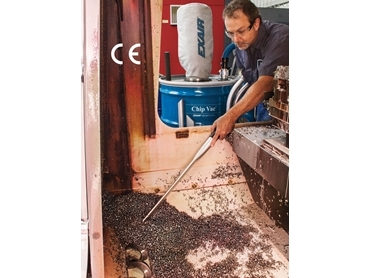 Operated using compressed air, Chip Vac creates a powerful direct flow action that effectively moves chips and scrap materials. With no motors to clog or wear out, the machine comes with assured long life and virtually no maintenance. Chip Vac is also covered by a five-year warranty. 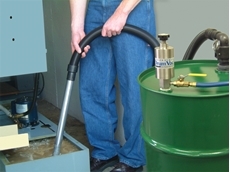 Chip Vac systems include a drum lid with a locking ring that fits an open top drum, flexible vacuum hose, filter bag, and tools. Deluxe systems are available in 5-gallon and 44-gallon sizes along with a drum dolly and tool holder for larger sizes. Premium systems include an upgrade to static resistant hose and heavy duty aluminium tools. 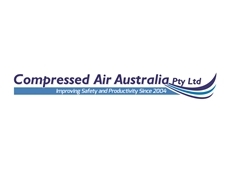 EXAIR’s Chip Vac systems are available from Compressed Air Australia Pty Ltd .